On August 20, 2010, Governor Ted Strickland announced the creation of the Ohio New Markets Tax Credit program. The program will help attract new business in Ohio by providing state tax credits to those who provide investment in low-income communities. Many investors/developers have taken advantage of the Federal New Markets Tax Credit program and now they will be able to even better afford projects in Ohio by combining the Federal credit with the Ohio credit. The program is administered by the Department’s Urban Development Division. $10 million in tax credits is available in the first round of funding. 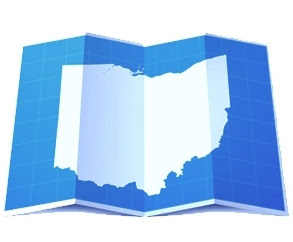 The Ohio New Markets Tax Credits program will provide a thirty-nine percent (39%) tax credit over seven years for qualified investments in low-income community businesses. Applications for the Ohio New Market Tax Credit are due on September 20, 2010. Posting on other people’s real estate blogs is not something that I do regularly. However, after reading your blog and reviewing your site over the past couple of months I had to give you my two cents. The potential you have at being one the main voices, if not the main voice in your market is incredible. I am not sure how much time you allot at posting on your site, but if you posted here as regular as possible I am almost positive you would see more numbers. Not to mention the additional income you could receive from advertisements. I am definitely taking notes. Good Luck! Cool.. Great news for all investor of real estate in Ohio. Good news! This might be the perfect time to invest. This post was very informative. Thanks for sharing this one.